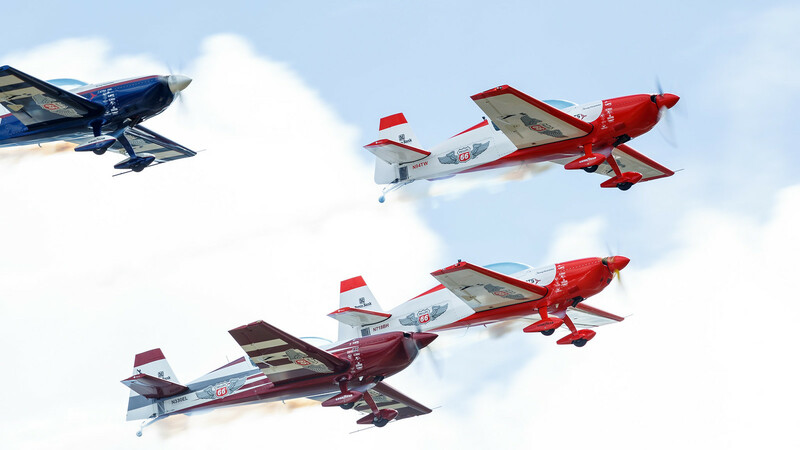 The Phillips 66 Aerostars have performed at airshows for more than a decade. 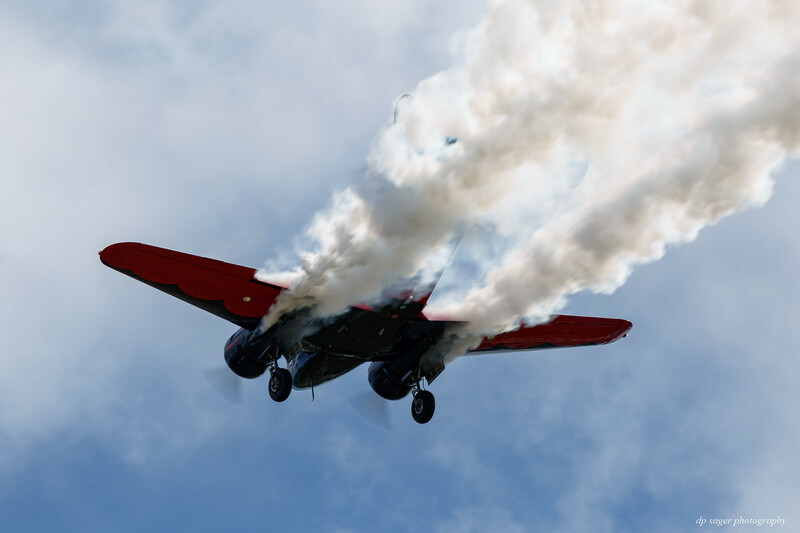 They fly the popular Extra Flugzeugbau EA300L, a two-seat aerobatic monoplane capable of Unlimited category competition. 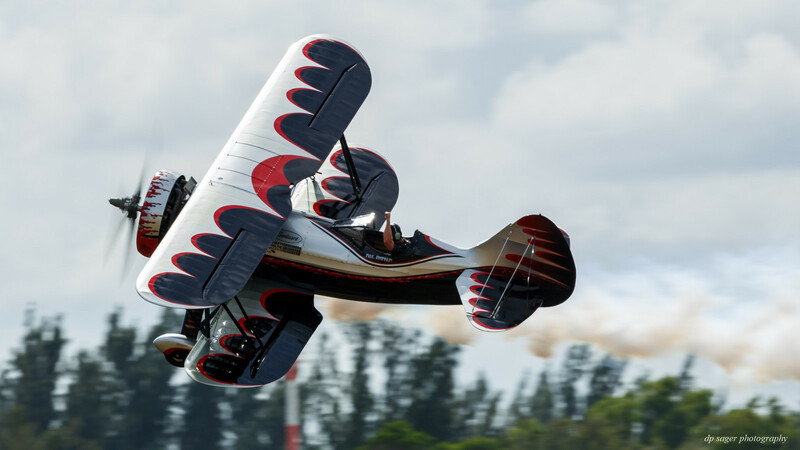 The non profit Stuart Air Show is held annually in November at Witham Field in Stuart, Florida. The 3-day community event highlights aviation, and provides financial support for local non-profit organizations using proceeds from the event. The Demon-1 biplane, known as "Dracula" was originally conceived by Kyle Franklin and his late father Jimmy. Dracula combines the pleasing lines of the iconic Waco Mystery Ship with modern aerodynamics and systems, resulting in a smaller, lighter, significantly more maneuverable and powerful airplane. Team AeroShell was founded in 1984 by Alan Henley and Steve Gustafson and was originally named the North American Aerobatic Team. Alan, Steve, and Ben Cunningham flew together for 12 years, and were joined in 1996 by Gene McNeely. 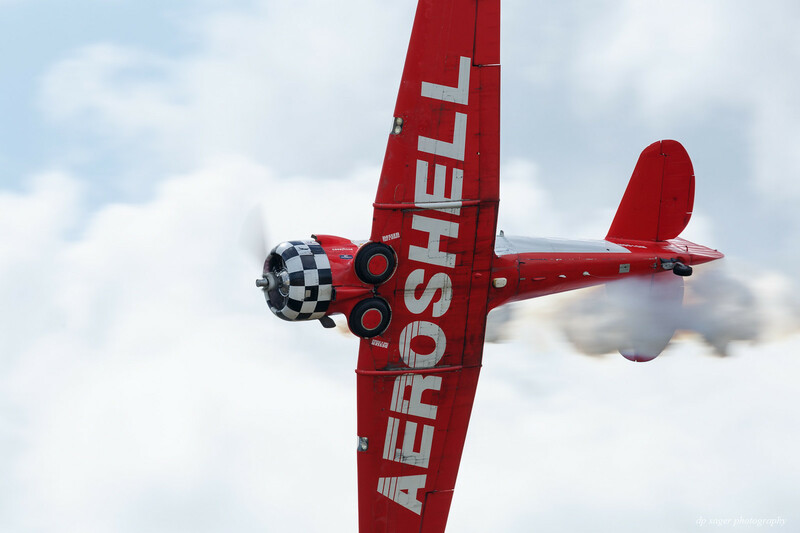 Gene, flying solo at Stuart, retired after the 2018 airshow season after flying the slot position for AeroShell for 22-years. Matt Younkin is a third generation pilot and learned to fly at age 14. Matt's Beechcraft Model 18 was never designed for aerobatic flight; 9000 were built between 1937 and 1969 as a cargo aircraft and 6- or 11-passenger airlines. 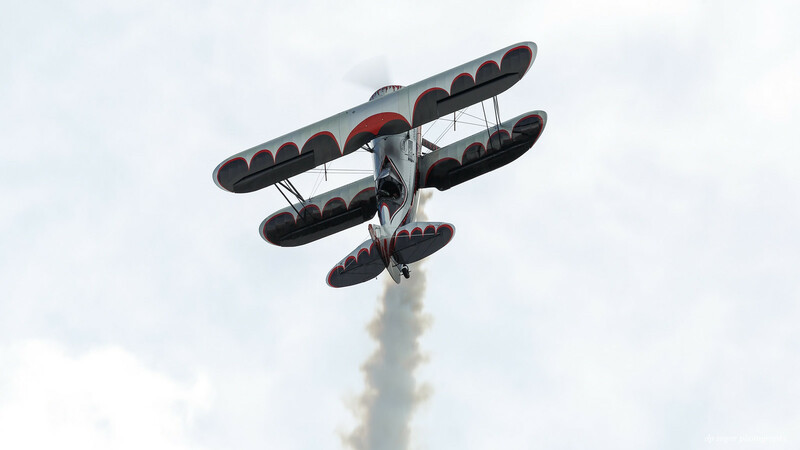 Kyle Franklin, son of late air show legend Jimmy Franklin, began flying at age 8 in a Piper Super Cub, by age 14 he performed his first wing walk, and at 17 he was wing-walking professionally for his father. Kyle started his own piloting career performing in air shows at age 21. Another great set!!! I love the time you take to give us information about these planes and their talented pilots. Another wonderful set of shots ... thanks for sharing. Great pictures; however, I believe the one of Kyle Franklin is reversed. The name under the pilot is reversed and it looks like the pilot is facing the tail of the plane. Thank you Jerry, Dennis, FL Streetrodder, fbeaston, Floyd, Earnest! The paid seating available at Stuart gave great views of the performers. Glad you enjoyed the results! GREAT. Just a great series of shots. Flew the Extra in Arizona... It was unbelievable! There are simply no manouvers this plane is incapable of performing without restriction. Imagine a G suit and open skies with a plane that can outpull a Fighting Falcon up to 10 Gs!!! Beautiful High Quality images that are a pleasure to view...Great job Paul. Thank you James, glad you enjoyed!